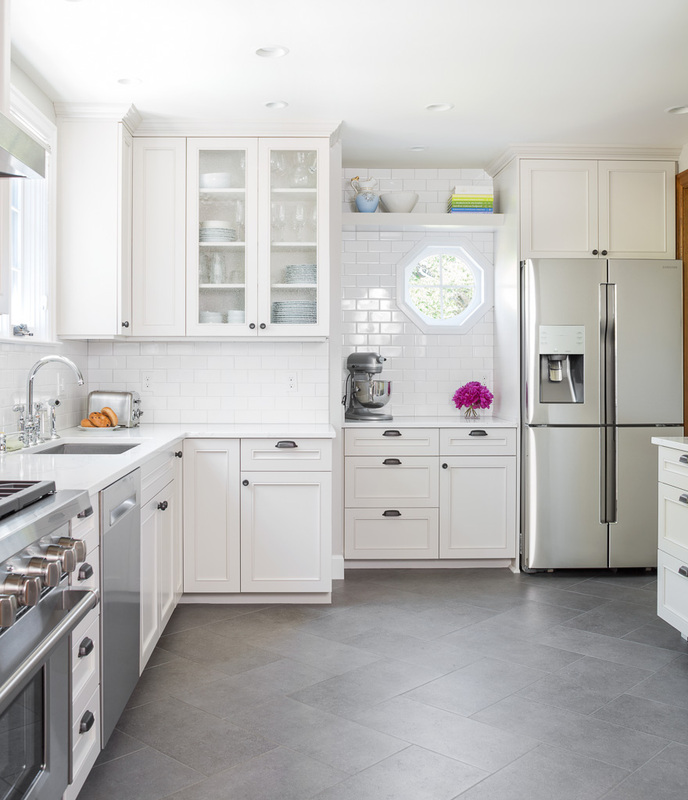 This historic 1930’s home in the charming Seattle neighborhood of Blue Ridge was remodeled to work well for a busy, modern family. 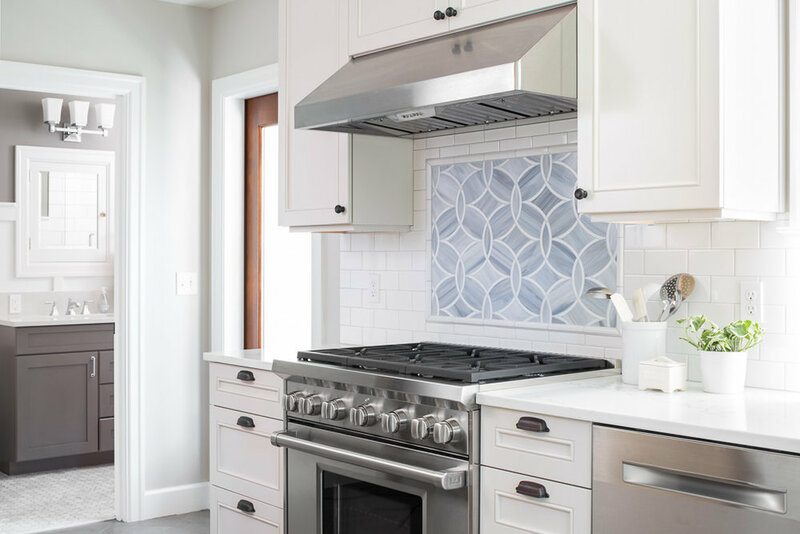 The existing tiny and dated kitchen was opened up to create a timeless, functional and beautiful new kitchen for entertaining and features a glass tile backsplash accent from Ann Sacks. 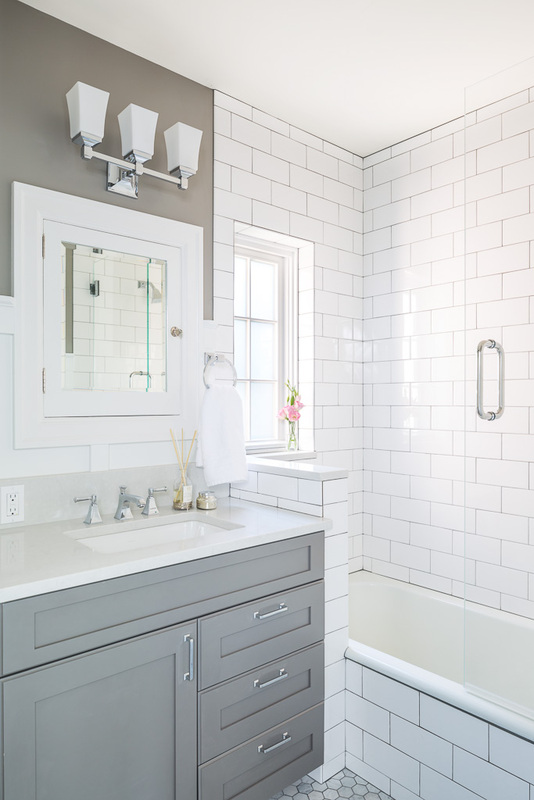 The bathrooms were updated with new finishes and fixtures yet also feature updated original features such as the built-in medicine cabinet and master bathtub. On the lower level the addition of a mudroom creates storage space for this active family. 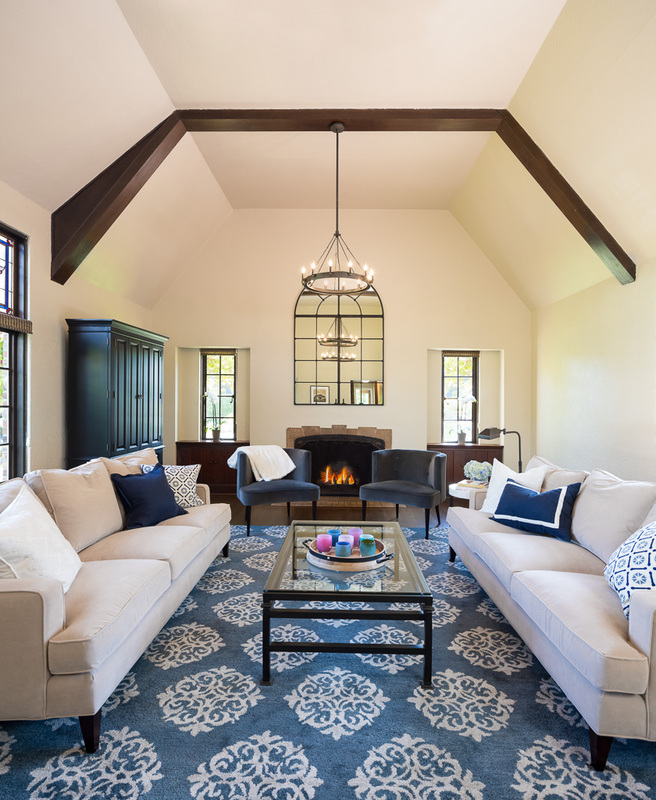 The remodel is completed with new lighting, finishes and colors through the home. 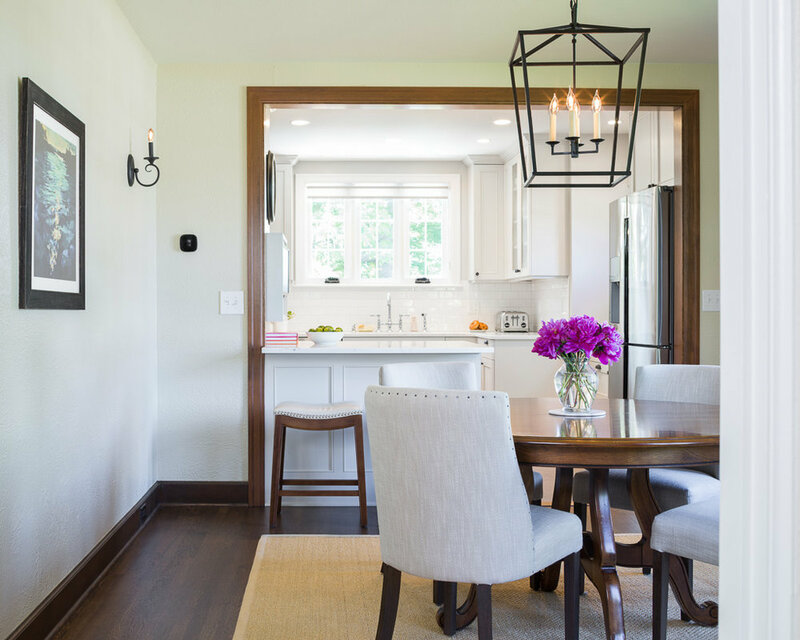 I love how this remodel retained the existing historic feel while updating the spaces to function for the needs of a modern-day home.